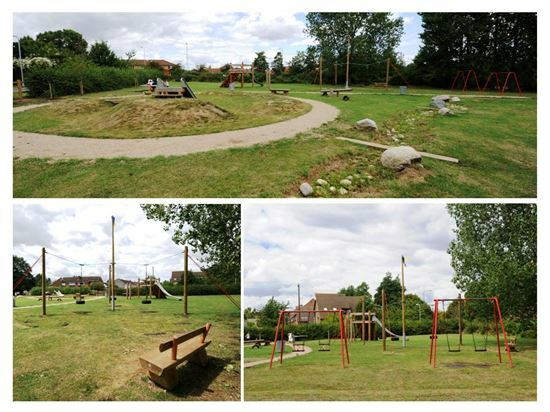 A play space designed with natural features to enhance the play experience, designed for ages 2-14. Site located off of Douglas Road. Good access with hard surfaced path through the play space.